We can be contacted through our office, Dolphin Healing Hands 1810 Ruddiman Drive, Suite F, North Muskegon, MI 49445 Phone: (231) 769-0818, email: Info@DolphinHealingHands.com, or through our website: www.DolphinHealingHands.com. Office hours are by appointment. REQUIRED NOTICE: AS THE STATE OF MICHIGAN HAS NOT ADOPTED ANY EDUCATIONAL AND TRAINING STANDARDS FOR THE PRACTICE OF HYPNOSIS, THE STATEMENT OF CREDENTIALS IS FOR INFORMATIONAL PURPOSES ONLY. Hypnosis is a self-regulating profession and its practitioners are not licensed by state governments. Dolphin Healing Hand's practitioners are not physicians and may not provide a medical diagnosis nor recommend discontinuance of medically prescribed treatments. If a client desires a diagnosis or any other type of treatment from a different practitioner, the client may seek such services at any time. In the event my services are terminated by a client, the client has a right to coordinated transfer of services to another practitioner. A client has the right to refuse hypnosis services at any time. A client has a right to be free of physical, verbal, or sexual abuse. A client has a right to know the expected duration of sessions, and may assert any right without retaliation. 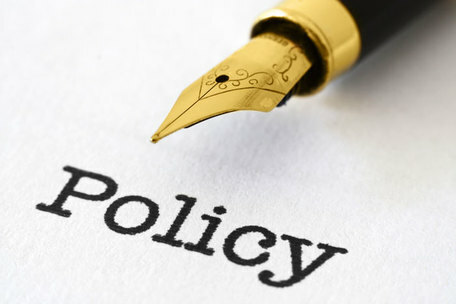 A client has a right to review these Bill of Rights and Office Policies at any time and may download them from our website: www.DolphinHealingHands.com. Dr Dave Hillis is a certified and accredited member of The General Hypnotherapy Standards Council and The General Hypnotherapy Registry which he practices in accordance with its Code of Ethics and Standards. The GHR is the registering agency for the General Hypnotherapy Standards Council. It was originally established following Department of Health guidelines that each separate Complementary & Alternative Medical Profession (CAM) should have a single, central Register of Practitioners. (N.B. All GHR therapists registered at practitioner status are now eligible for inclusion within the CNHC’s regulatory program.) The Register is composed of *individual practitioners and is open to any hypnotherapist who is able to satisfy the criteria with regard to both training and ongoing requirements as periodically determined by the GHSC. All Registered Practitioners are required to maintain adequate Public Liability & Professional Indemnity Insurance and to accept our published *Code of Ethics & Practice and *Complaints & Disciplinary Procedure. (*Available to view on our website). Dr Dave Hillis is also a registered member of The American Alliance of Hypnotists. The American Alliance of Hypnotists is dedicated to the training and promotion of the world’s top hypnotists. We believe firmly that hypnosis is a major part of the future of healing in a world which is becoming more enlightened about non drug-based therapies. Though we do not dispute the value of traditional medicine in many cases, we fully embrace a model of health care which emphasizes the power of the individual’s mind in healing and general well-being. Therefore, we remain vigilant in our successful efforts to educate people about hypnosis. Payment is due in full at the time of service by cash, check or credit/debit card. We accept Health Savings Account credit/debit cards, as well as Flexible Spending Account cards with authorization from the client’s insurance company. A $45 fee will be assessed on all returned checks. The fees for your session will be discussed with you during your first visit. Fees are subject to change according to specials or discounts. Please arrive promptly to obtain your full session. Your time slot is reserved exclusively for you. A 24-hour cancellation notice is required or you may incur a fee equal to the full cost of the session. If you must cancel or reschedule due to an emergency, please notify us as soon as possible. My time is my income and my hours are by appointment. Your time slot is reserved exclusively for you. Thank you for your consideration. If you decide after arriving that you do not wish to complete your session, you are still responsible for the full payment of the session. Your appointment may be cancelled and designated NO-SHOW if you are 10 or more minutes late. No-Shows will be charged the full fee for the missed session. Prepaid sessions incur no additional charge, however the session value is forfeited in accordance with the policy below. Advanced payment to reserve your place in a class or workshop will not be refunded. PREPAID SESSIONS: The Cancellation/Rebooking and No-Show Policies above also apply to any prepaid sessions including single appointments, sessions purchased within a package, classes/workshops requiring a deposit, and sessions booked using a gift certificate. Failure to keep your appointment or cancellations/rebooking without sufficient notice will result in a forfeiture of the prepaid session. No refunds will be given for unused prepaid sessions. Prepaid sessions expire one year from date of purchase. Advanced payment to reserve your place in a class or workshop may be transferred but not refunded. We will not release any information to anyone without a written authorization from you, except as provided for by law. You have a right to be allowed access to our written record or a summary of our record about you. Appointments for minors under age 18 require written consent from the parent or guardian, who must accompany them at each visit unless other wise agreed upon by the therapist and custodian of the the minor. We do not file insurance or any other third party claims. Insurance companies usually consider the work we do as alternative therapies and therefore do not cover it. Some Flex Spending accounts or Employer Wellness Programs may reimburse employees. Upon request, a statement will be provided for you to submit for possible reimbursement. Please consult your health insurance provider for benefits information and reimbursement procedures. Hypnosis is effective in relieving some medical conditions (i.e., pain management, migraines, IBS, etc.) but will require a signed release from your doctor or appropriate health care professional to avoid masking symptoms before proper diagnosis and/or medical treatment has been obtained. Some situations require a referral from a physician or other health professional. If this is required for you, your hypnotherapist will advise you. We provide all the necessary paperwork, and it is an easy and convenient process which should not delay your work with hypnosis. Prescription medications will not negatively affect your hypnosis sessions; however, please refrain from the use of alcohol or recreational drugs prior to your hypnosis session. If you arrive intoxicated/high, your session cannot be conducted and you will be charged for the session. We believe that individuals have the right to choose or practice alternative or complementary self- improvement services. Hypnosis and Reiki are safe and non-invasive. The services we render are held out to the public as a form of energy healing, motivational coaching and education, combined with instruction in self-hypnosis. We do not represent any of our services as any form of health care, psychotherapy or counseling. Hypnosis or Reiki are not meant to be a substitute for psychological or professional counseling or medical care. If you have an ongoing physical or mental health problem, please consult a licensed professional. We use hypnosis and Reiki to motivate clients to eliminate negative or unwanted habits, facilitate the learning process, improve memory and concentration, develop self-confidence, eliminate stage fright, improve athletic ability, reduce/manage stress, focus on positive thoughts and desired outcomes, and for other social, educational and cultural endeavors. In general, we help people cope with the normal problems of everyday living by utilizing various techniques of hypnosis and progressive relaxation. Most hypnosis and Reiki is of a non-medical nature. Despite research to the contrary, by law we may make no health benefit claims for our services. However, hypnosis and Reiki do reduce stress, which is a beneficial adjunct for many medical and mental health disorders. Relaxation self-care techniques can be learned which can reduce discomfort and improve certain health issues. We believe that thoughts and attitudes can influence how we feel and that hypnosis and Reiki can help you change habits, focus on the positive, and visualize a state of wellness. You will be fine to return to work or other regular activities after your hypnosis sessions. Depending on the work being done, some people feel energized, bright and happy after a session, and some feel a bit tired, but your ability to go about your daily business is in no way compromised. Most people experience an improvement in the quality of their sleep after hypnosis, and you may experience dreams that are your mind’s way of continuing to process through the emotional and mental material involved in your change for a night or two after your session. Some people find that long-forgotten memories resurface, and/or flashes of insight appear. Some people just feel more calm, relaxed and in control as they progress toward their desired change. Keep in mind that whatever you experience is right for you! ​No guarantees as to the effectiveness of hypnosis or Reiki for your particular problem are made or implied, as it is impossible to guarantee human behavior or compliance. Therefore, no refunds for services are given. Hypnosis and Reiki are not a quick fix or a magic pill. A Hypnotherapist is considered a guide or facilitator. A Reiki practitioner is considered an energy worker. You assume equal responsibility by making a commitment and allowing yourself to be guided into a state of hypnosis. No one can make you do something against your true will. We sincerely want you to succeed and pledge our efforts to help you to the best of our ability. I have been advised of the scope of Hypnotherapy/Reiki practice and I give my full consent to receiving Hypnotherapy/Reiki sessions. I understand that results vary and that Dolphin Healing Hands/Dr Dave Hillis offer no guaranteed results. Hypnotherapy/Reiki is not a replacement for medical treatment, psychological or psychiatric services, or counseling. I also understand that the Hypnotherapist/Reiki Practitioner does not treat, prescribe for, or diagnose any condition. I am aware and understand that in some cases it may be necessary for the practitioner to respectfully touch my shoulder(s), hand, wrist, or forehead in order to assist me in relaxation. I give the practitioner permission and consent to do so in order to help me establish a beneficial state of hypnosis. I have been advised that I am free to terminate any or all sessions at any time (see Unused Sessions and Refund Policy). I have agreed to participate in each session to the best of my ability. I have accurately provided background information as requested by the Hypnotherapist/Reiki Practitioner. I understand that confidentially regarding my sessions will be honored between my Hypnotherapist and me. This same confidentially is respected when working with minors under the age of eighteen. Engaging Dolphin Healing Hands/Dr Dave Hillis and participating in sessions indicates my acceptance, understanding and agreement of the above. I HEARBY AUTHORIZE DOLPHIN HEALING HANDS TO CHARGE MY CREDIT/DEBIT CARD THE FULL SESSION FEE FOR APPOINTMENTS THAT I MISS OR CANCEL/REBOOK WITHIN 24HRS OF THE SCHEDULED SESSION TIME.